Fans flock to Bob’s live performances to hear such Newhart standards as The Driving Instructor, Sir Walter Raleigh, and The Submarine Commander. These timeless classics are enjoyed by young and old alike in sold-out concert halls across America. And yet, Bob’s career began, in a quite unassuming fashion while working as an accountant in Chicago. Bob, being bored with his accounting work, would call Ed Gallagher, a friend from a suburban Chicago Stock Company and improvise comedy routines. It was suggested that they record and syndicate them. They did and were imminently unsuccessful. Ed, an advertising xecutive, was offered a job in New York and accepted it, leaving Bob with the difficult job of going it alone. He knocked around Chicago finding occasional work in voiceovers and commercials while still writing additional material. Through a friendship with disc jockey Dan Sorkin, Bob met with the head of Warner Brother’s Records, who upon hearing Bob’s material offered him a recording contract. successful multi-platinum projects. In fact, Bob’s cumulative recording career earned him three Grammys. As proof of this, his record for holding the number 1 & 2 Billboard chart positions was not broken until recently. It is still ranked as the 20th Best Selling album of all time, according to Billboard. Bob has enjoyed tremendous success in television and films as well. 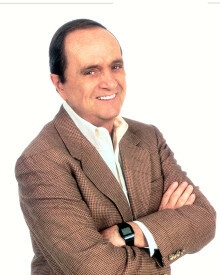 He earned an Emmy and a Peabody Award for his work on the “Bob Newhart Variety Show” which was quickly followed by the phenomenal success of “The Bob Newhart Show” (1972 – 1978) and “Newhart” (1982 – 1990). He has appeared in over 14 feature films and has starred with the likes of Steve McQueen, Bobby Darin, Barbara Streisand, Kevin Kline, Reese Witherspoon, Will Ferrell and Tom Selleck. Most recently in 2004 Bob starred with Noah Wyle in the TNT original movie “The Librarian” and finished shooting its sequel, “The Librarian II” in South Africa in 2005. It is slotted for a 2006 release on TNT. Also in 2005, Bob began his recurring role in the primetime TV hit, “Desperate Housewives”. He was also honored with the distinction of being heralded as an “American Master” by the PBS documentary of the same name. And in 2006, Bob released his highly anticipated book through Hyperion Publishing entitled “I Shouldn’t Even Be Doing This”, which became a New York Times bestseller. And yet, with his successful run in television and feature films, Bob has never strayed far from his first love of performing stand-up. He has consistently performed to sell-out crowds across the country and abroad. His infamous routines have stood the test of time and are still enjoyed by millions of Bob’s fans. Do you want to hire Bob Newhart? Directly request a quote. In 48 hours we can send you the availability of Bob Newhart If you would like to book Bob Newhart, Entertainment Booking Agency is the right place. We will offer you the best price and contact the management or we directly contact Bob Newhart. For corporate appearances or speaking engagements you can contact our agents and the will help you true the process. Tags: hire Bob Newhart, Bob Newhart booking, book Bob Newhart, Bob Newhart appearances, find more information on booking Bob Newhart for appearances, Bob Newhart speaking engagements, Bob Newhart endorsements/spokesperson, Bob Newhart appearance fees, Bob Newhart booking agency contact info, biography of Bob Newhart, Contact an artist booking talent agent find a speakers bureau that can book Bob Newhart, speaker booking agency for Bob Newhart, Bob Newhart booking agency, Bob Newhart booking for corporate event. EBA is one of the biggest entertainment booking agencies in the World. We book hundreds of celebrities, artist, athletes and speakers in a year. Important to know is that we are not claiming to be the management of Bob Newhart. We are not the official agent for Bob Newhart. Companies from around the globe book these artists and speakers true our company be course we have one of the biggest networks and we always have direct contact with the artist or the management. We help you to find the right celebrities for your corporate of private events. Please contact one of our agents to get free advice and we will help to get the world-famous artist on your party.